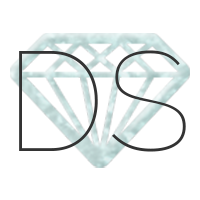 This week the Challenge will last an extra week and the winner will get 3 diamonds! Update: Extended until the 12th of March! @angelinamc What're the issues maybe I can help? Leandra I think its my mouse, I had bought a wireless one and it's jumping like crazy. I have to get a new mouse. I just have been so busy lots of things going on. Hopefully this weekend I can get one. Thank you. Maybe change the battery in the mouse? Thank you Art but I did that its still acting up. I made a cotton candy inspired dress! @angelinamc Well hopefully it works out that its just the mouse. Also have you tried looking at your computer's settings to calibrate the mouse and its speed and what not? Does it glitch all the time or just when designing? Just thought I'd add a background for fun! @mykelbe I love the outfit you put together the pastel pink and blue look so cute together! @BrokeUniStudent I love your cotton candy dress! While you both had beautiful and tasty designs, this ones gotta go to @Mykelbe for all the extra effort she put into the whole outfit. You both will be getting 250 points as well for entering!